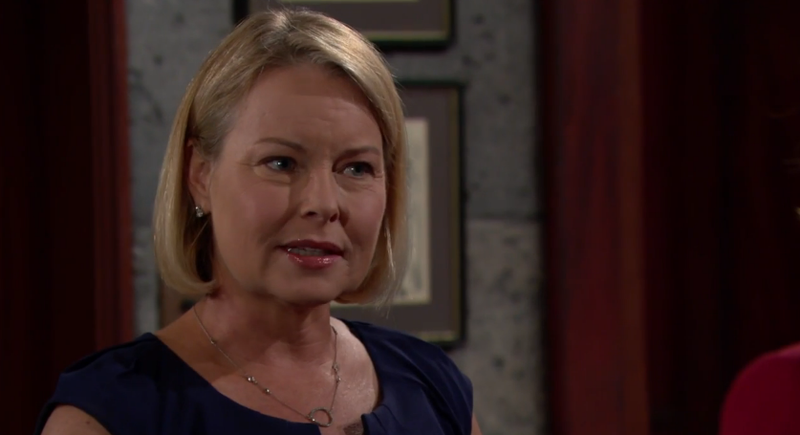 Check out the day-to-day spoilers and a sneak peek video below to find out what's happening on CBS soap opera The Young and the Restless during the week of March 14-18, 2016. Jack (Peter Bergman) flexes his authority at Jabot; Noah (Robert Adamson) deals with the consequences of his actions; Nikki (Melody Thomas Scott) faces a reversal of fortune. Victoria (Amelia Heinle) wants to make things right with Victor (Eric Braeden); Sage (Kelly Sullivan) clashes with Nick (Joshua Morrow); Noah hears the verdict. Cane (Daniel Goddard) and Lily (Christel Khalil) come to a decision about their relationship; Marisa (Sofia Pernas) hopes to keep Summer (Hunter King) and Luca (Miles Gaston Villanueva) apart; Sharon's (Sharon Case) past haunts her. Y&R is pre-empted due to CBS coverage of the 2016 NCAA Basketball Tournament.